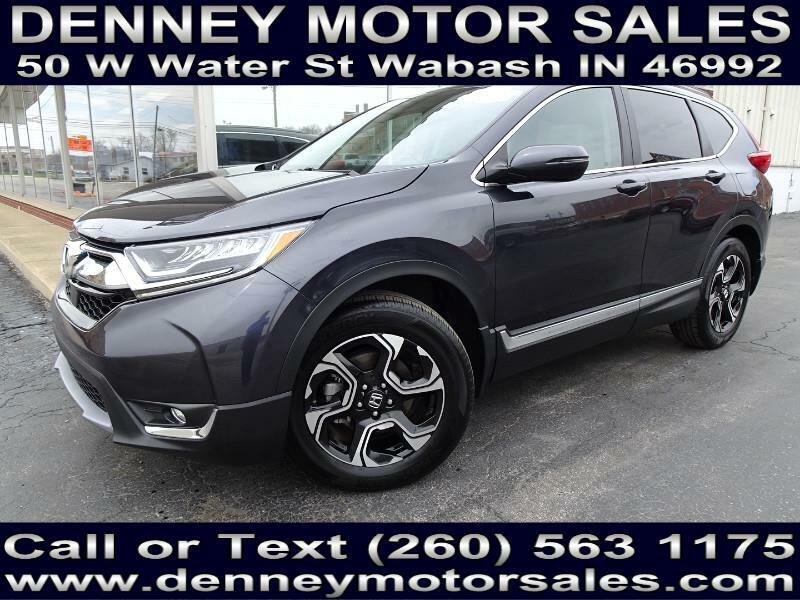 Used 2017 Honda CR-V Touring AWD for Sale in Wabash IN 46992 Denney Motor Sales Inc.
Bumper to Bumper Warranty, Non-Smoker, 1 Owner, Clean CarFax, Navigation System, Sunroof, Heated Front Seats, 9 Speaker Premium Stereo, Side Blind Zone Alert System, Adaptive Cruse Control, Forward Collision Alert System, Lane Departure Warning System, Remote Start, Rear View Camera, 18 Inch Aluminum Wheels, Power Driver and Passenger Seats, 1.5L Turbo 4CYL Engine, Automatic Transmission, Gunmetal Metallic with Light Gray Leather Interior, 60,000 Mile Warranty, Keyless Start System, Driver Information Center, Bluetooth, Sirius XM Satellite Radio, and much more! Please visit http://www.denneymotorsales.com/ to view more photos of this 2017 Honda CR-V Touring AWD! !